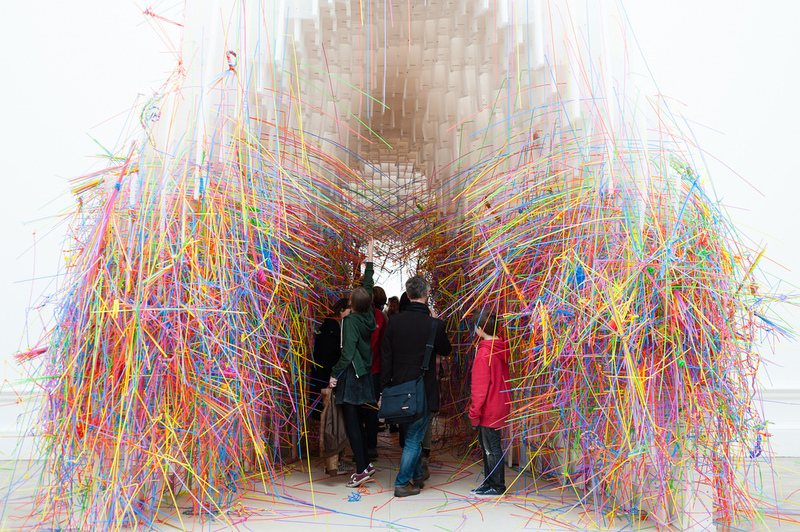 The Royal Academy commissioned us to support their groundbreaking exhibition 'Sensing Spaces', with large-scale installations challenging visitors to explore their perceptions of space and shape. 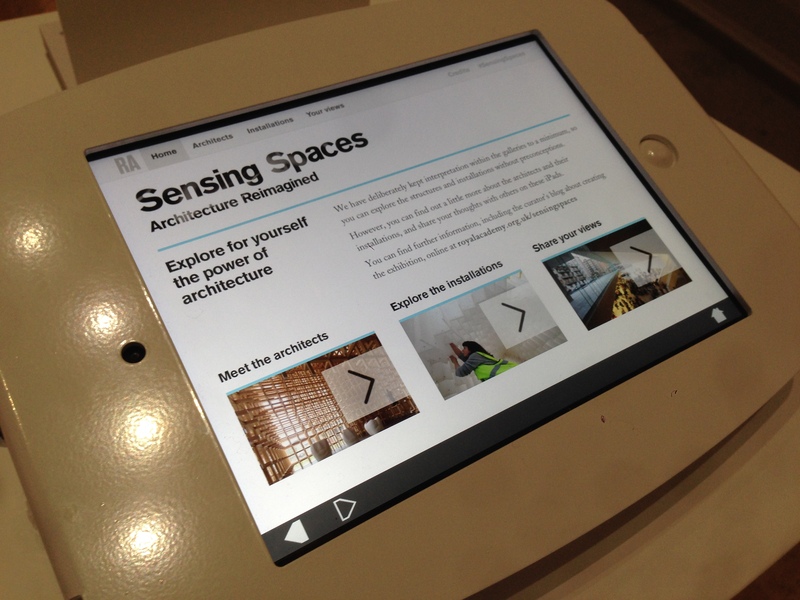 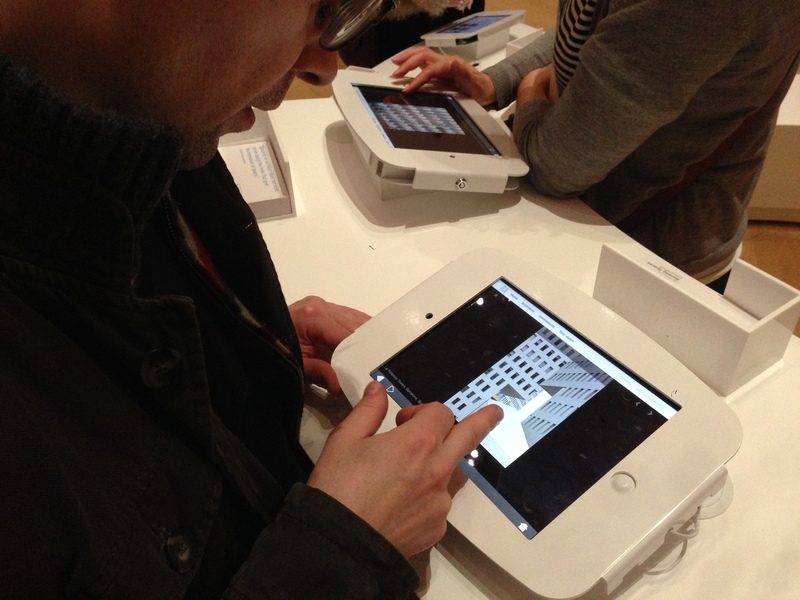 To bring the background to the exhibition to life, we developed an iPad-based web app which ran on kiosks in the exhibition foyer. 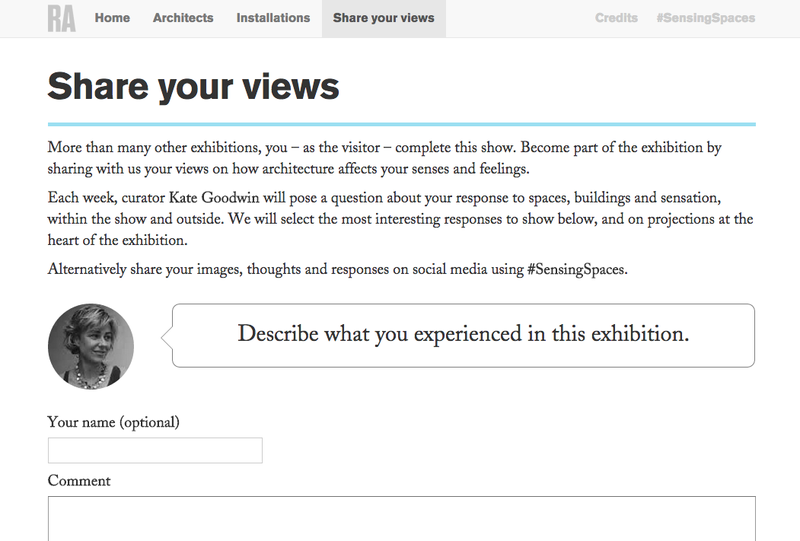 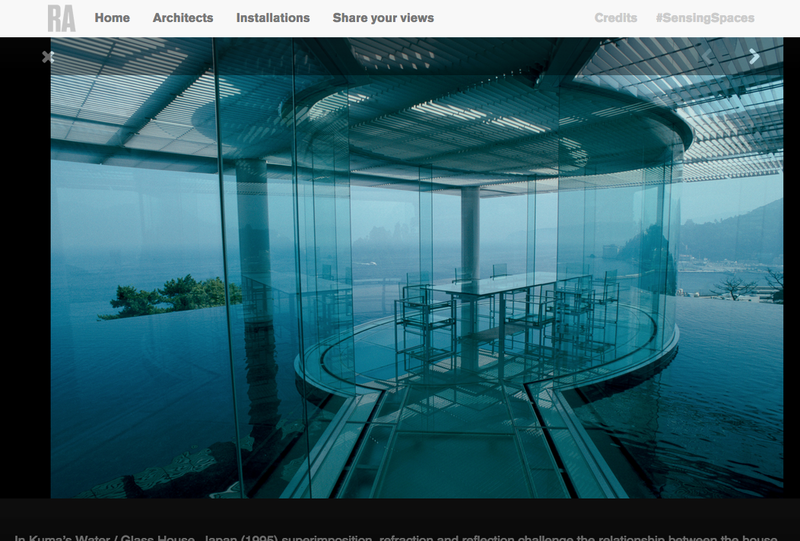 Visitors could flick through each architect's previous work and biography, explore time-lapse video of the installations being constructed, and leave their own reflections in answer to questions posed by the curator, moderated by the Royal Academy team.